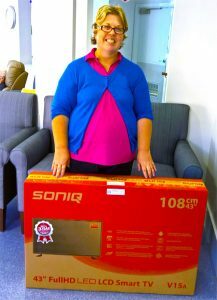 Sovereign Funerals has donated a brand new SONIQ 43” LCD Smart TV to the High Care Dementia wing of Giraween Aged Care. The TV will be used for general viewing, but more importantly, it will also be used for interactive therapy programs that stimulate cognition. The High Care Dementia wing had been using a very small TV for the program up until now but it was ineffective as the residents had difficulty seeing it! 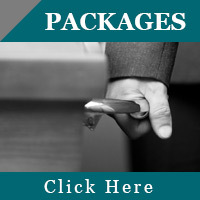 The larger TV screen will greatly improve the effectiveness of the therapy program.